The Loudoun Arts Council, Loudoun County Public Libraries, and the Brambleton Community Association will present the first Loudoun Book & Arts Festival on Saturday, June 8th from 10:30am to 5pm. Held in and around Brambleton Library and the Brambleton Visitor Center, the lively family-friendly event will include authors' talks, artists' demonstrations, and performances, and is free to the public. Artists are invited to participate by clicking on the link below. The Loudoun Arts Council invites artists to submit designs for inclusion in “We ❤️ Art” — a new coloring book about the arts. This LAC publication will debut at the new Book and Arts Festival in Brambleton on June 8th, 2019. Painter Patricia Taylor Holz celebrates rich vineyard soils and wine vessels in artWorks newest exhibit, Vino: An Ode to Wine Types, Soils & Glassware Through Time. 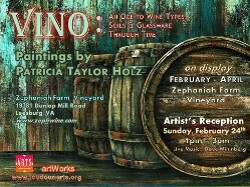 The wine series is on display now through the end of April at Zephaniah Farm Vineyard at 19381 Dunlop Mill Road, Leesburg, VA 20175. The vineyard and tasting room are open noon to 5:30pm every Friday, Saturday, and Sunday (and Federal Holiday Mondays). 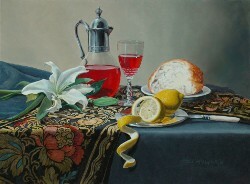 Meet the artist and take in the wine series at a special reception on Sunday, February 24th at 1pm. Join Us for Arts Trivia Night! 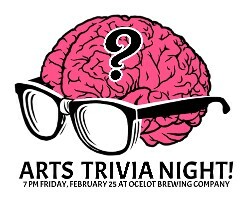 Join us for a fun winter Arts Mixer: Arts Trivia Night, 7-9 pm on Monday, February 25th at Ocelot Brewing Company, 23600 Overland Drive, #180, Dulles, VA 20166. Students in grades 10 through 12 are invited to participate in this year’s program. Emerging artists in dance, theatre, vocal and instrumental music, and the literary arts, as well as visual artists working in 2D or 3D, may submit their work for evaluation. According to painter Kay Layne, "Abstract painting has always drawn me because I make paintings that are intended to elicit emotion depending on the makeup of the viewer. My work can be soothing, challenging, or upsetting. I don’t paint realism, because I prefer that the viewer respond without my directing them through realistic images." Loudoun County Public Library is working with the LAC to offer COLLAB Artist's Residencies Makerspace at Brambleton Library in Ashburn. The COLLAB program is for artists and makers of all kinds. Artists can use the spaces as working studio and exhibit areas, and will have the opportunity to engage with the public in a unique way in historic downtown Leesburg, or Brambleton Town Center. 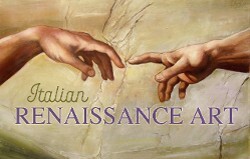 For our Winter Arts Mixer, Dr. Lisa Passaglia Bauman, Associate Professor of Art History at George Mason University, will take you on a virtual trip through Florence, Venice, and Rome, and reveal how local customs and politics affected some of the greatest masterpieces in history. This program is open to all, 6:30pm Thursday, January 10th at Brambleton Library, 22850 Brambleton Plaza, Brambleton, Virginia. 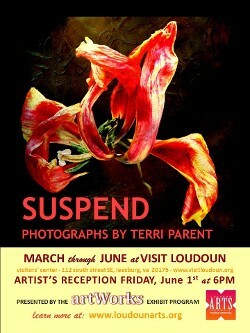 Refreshments provided by the Loudoun Arts Council. Two hallmarks of advanced civilization brought together for one night! 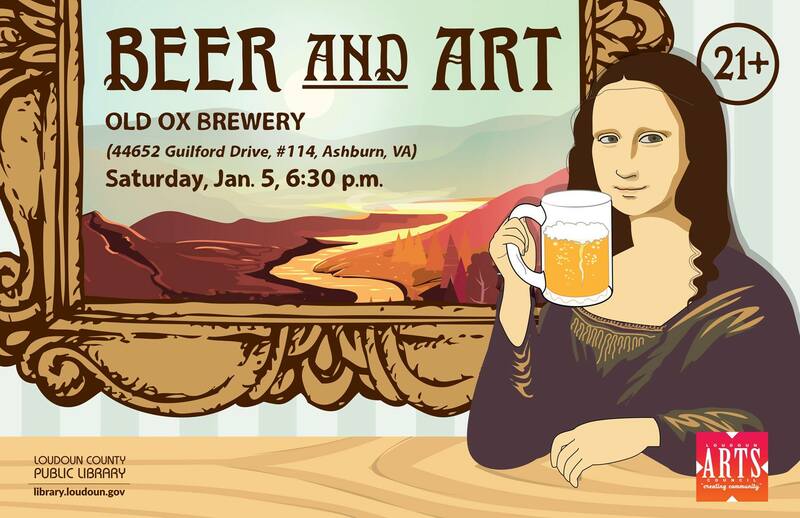 Saturday, January 5 at 6:30pm at Old Ox Brewery, 44652 Guilford Drive, Unit 114, Ashburn, Virginia. Our #GivingTuesday campaign to fund the 2019 Gale Waldron Excellence in the Arts youth program starts on Tuesday, November 27th. Facebook and PayPal will match donations Tuesday dollar-for-dollar, so please give generously. We invite you to donate now. Thank you! Are you looking for a venue for your creative ideas? 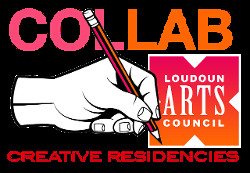 In the COLLAB atelier project, Embark Center and IndED join the Loudoun Arts Council to offer qualifying LAC members quarterly residencies in a studio space in Leesburg's Arts and Culture District. 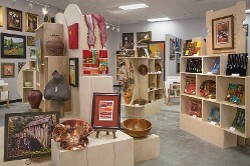 Visiting artists can use the space as a working studio and exhibit area and have the opportunity to engage with the public in a unique way in the heart of downtown Leesburg. In lieu of rent, IndED and Embark students will have occasional access to their process. 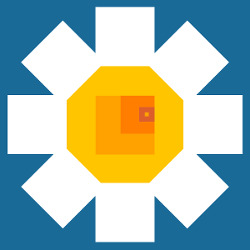 The Loudoun Arts Council’s artShare grants were created to assist organizations of artistic merit to the Loudoun County community by providing funds to help maintain their stability and encourage their development. This year the Arts Council is looking for new initiatives to bring the arts to Loudouners in more creative ways. Instead of submitting an update past grant applications, a common practice for non-profits, “This year, we want to challenge our local arts organizations to think creatively about ways to use our grants,” says artShare administrator Mary Kenesson. The Loudoun County Barn Quilt Trail will open this fall and focus on important agricultural structures and locations in Loudoun County. Residents and visitors can learn about the importance of these farm buildings, their history, and the activities they currently house. These buildings tell important stories about our history and our future. The Barn Quilt Committee is seeking new participants and sponsors for this new program in rural Loudoun. 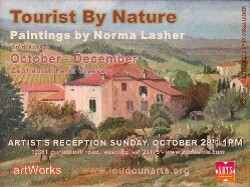 Painter Norma Lasher Reflects on a Life of Travel in New artWorks Exhibit, "Tourist By Nature"
Painter Norma Lasher and her husband, whom she affectionately refers to as Lash, have traveled the world since the 1960s. 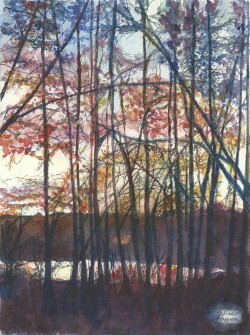 Lasher’s tours of Asia and Europe have provided much inspiration for her art. “My subject matter for landscapes is usually a place I have been, and I want to remember. 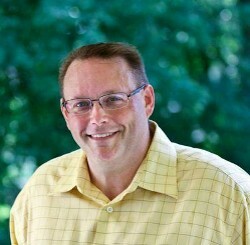 If others are entertained or their memories are evoked, I am doubly blessed,” says Lasher. American folktales live inside us, instilled in us as children. 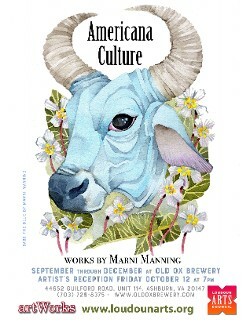 In Marni Manning's new artWorks exhibit at Old Ox Brewery, she brings these historical stories to new life. Born in North Carolina, Manning lived abroad in Asia for several years, which gave her a new appreciation for cultural differences. Manning's sister and writer A.C. O'Dell lent her creative talents to penning poetry complementing each artwork in this show. Americana Culture will be on display through December. Artists can be masters at expressing themselves... until it comes to making an artist’s statement or talking in public about their work. The folks at StageCoach have you covered! In Making a Statement: Improv for Artists, you’ll learn stage techniques to feel more comfortable speaking when eyes are on you. British-born watercolor painter Angela Giraldi takes inspiration from her extensive travels in the states and abroad to create her World View, artWorks newest exhibit at Visit Loudoun. From local tree groves in Loudoun County to fishing villages in Barcelona, Giraldi brings a lightness and optimism to the random moments of everyday life. Meet the artist at a special reception on Friday, August 3rd at 6pm. The arts council is offering a variety of gallery/store fixtures, including display shelving, art pedestals, a glass jewelry case, utility shelving, folding tables, track lighting, decorative console tables, a printer/copier, and much more. Bonnie Archer had to do a little sleuthing, but she persevered and found Jill Evans-Kavaldjian's work on her Facebook page, and sent her a message. Would she be interested in exhibiting her work? Evans-Kavaldjian, an artist who works in several media (and is currently President of the LAC) was delighted. The resulting exhibit will be on display from June 14th through the end of August, and the public is invited to meet the artist at a special reception on Sunday, June 24th from 3pm to 5pm at the newest artWorks venue, Zephaniah Farm Vineyard, south of Leesburg. 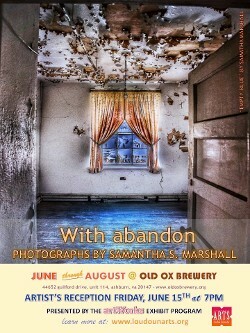 Old Ox Brewery Displays New artWorks Exhibit, "With abandon"
Photographer Samantha S. Marshall captures the beauty in abandoned spaces in a new artWorks exhibit, "With abandon." Marshall highlights deserted hallways, hidden caverns and uninhabited rooms through vibrant color and natural light. 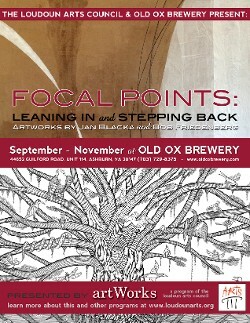 Marshall's haunting images are on display at Old Ox Brewery through the end of August. 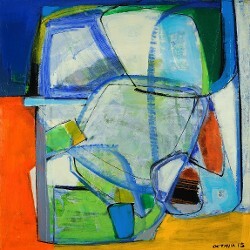 Meet the artist at a special reception on Friday, June 15th at 7pm. 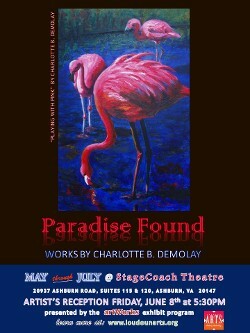 Painter Charlotte B. DeMolay dives into deep sea blues and vivid pinks in her show “Paradise Found,” artWorks newest exhibit at StageCoach Theatre. Sightsee DeMolay’s coastal paradise at StageCoach Theatre through the end of July. Meet the artist at a special reception on Friday, June 8th at 5:30pm. Community leaders in business and the arts worked together with the Loudoun Arts Council this spring to restart the LAC's teen awards program, renamed the Gale Waldron Excellence in the Arts Awards. Dozens of talented young people submitted work for the competition in eight arts categories. Winners presented their award winning work at a special showcase on May 5th at StageCoach Theatre in Ashburn. The Loudoun Arts Council gives a heartfelt "thank you" all who made this event possible. 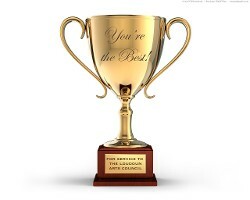 After a ten-year hiatus, the Loudoun Arts Council has revived its Excellence in the Arts awards program for teens in the visual, literary, and performing arts. Students in grades 10 to 12 competed in this year’s program, and 15 students received awards totalling $5,750. Their accomplishments will be honored at a special free reception and showcase at StageCoach Theatre in Ashburn on May 5th. 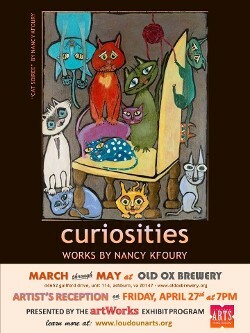 Explore a world of curious creatures, enchanted faces and mystical landscapes created by painter Nancy Kfoury, the newest artWorks artist on display at Old Ox Brewery. Discover Kfoury’s beautifully eccentric exhibition at Old Ox Brewery at 44652 Guilford Drive, Unit 114, Ashburn, VA 20147 through the end of May. 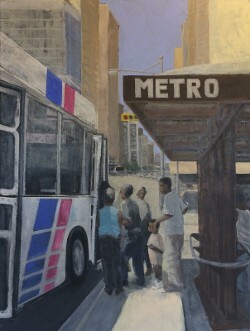 Meet the artist at a special reception on Friday, April 27th at 7pm. Terri Parent uses her striking photographs as a new language to describe the world. Her arresting images will be on display in the Visit Loudoun Visitors' Center at 112 South Street SE, Leesburg, VA 20175 through June. Meet the artist at a special reception on Friday, June 1st at 6pm. 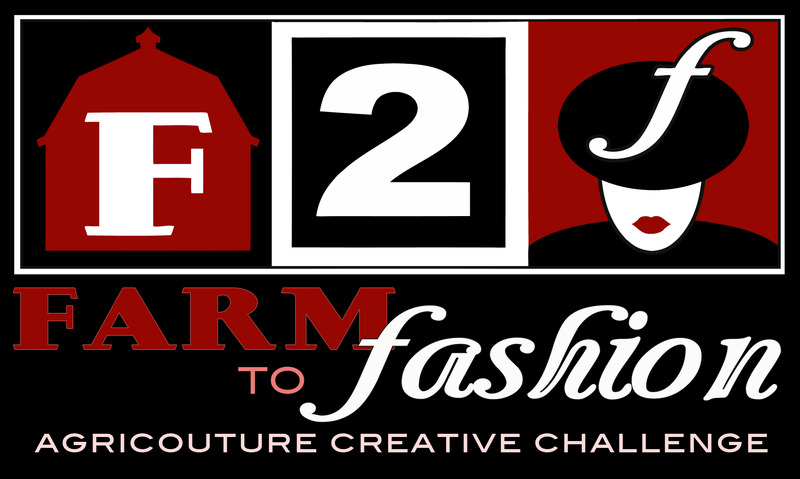 Seven pieces from Loudoun's Farm to Fashion Creative Challenge Exhibit were selected by the Torpedo Factory Art Center to be part of a traveling exhibit this winter in their 2nd floor gallery in Old Town Alexandria, VA. 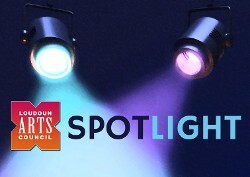 The "agricouture" show, a joint effort by the LAC, Franklin Park Arts Center, and Loudoun County Economic Development, will be exhibited 10 to 6pm February through March, with a special reception held on Friday, February 23 from 7 to 9pm. The Loudoun Arts Council will honor long-time arts supporter and former board member Gale Waldron by re-naming its Excellence in the Arts program in her name. Waldron passed away on January 8th. 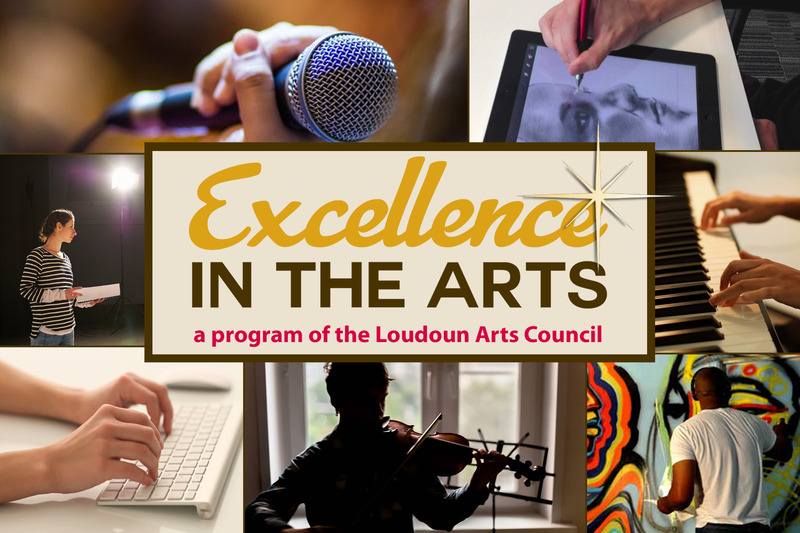 The Loudoun Arts Council announces the return of the Excellence in the Arts awards program for 2018. 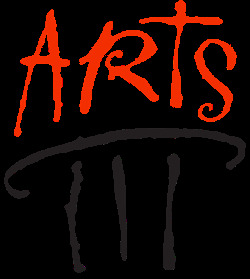 Loudoun high school students (including homeschool students) may compete for cash prizes in eight arts categories: visual arts, digital arts, dance, piano, literary, instrumental, voice, and theatre. More information, guidelines, and application materials are available online now. Completed applications with payment must be submitted by March 5, 2018. 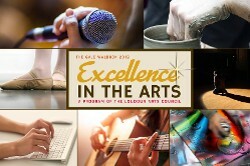 To learn more or donate to the Excellence in the Arts awards program, email info@loudounarts.org. We congratulate four outstanding Loudoun arts organizations as the 2017 recipients of the Loudoun Arts Council’s artShare grant program. These grants are awarded to local arts organization demonstrating strength in management, important contributions to the community, and high artistic quality. After more than five years in its current location, Arts in the Village Gallery will close its doors on December 31, 2017. A program of the non-profit Loudoun Arts Council, the coöperative gallery has brought the work of Loudoun's visual artists to thousands art enthusiasts who supported this effort. The LAC is looking for a new opportunities for Loudoun artists in 2018. 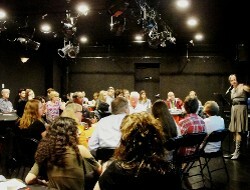 Stay tuned to this website, or subscribe to our newsletter to learn more about AitV artists, and future LAC programs. The winter artWorks exhibits at Old Ox Brewery and the Visit Loudoun Visitors' Center couldn't look more different. Painter Laura Hopkins' work in "Earth & Sky" focuses on expressing the mood and enduring beauty of quiet rural scenes in the atmospheric, soft light of twilight and dawn. Ben Wood's lively graphic canvases in the "This Is Personal" show at Old Ox Brewery works combine expressive brushwork and intentionally simplified forms with cartoon elements. Both artists' work can be seen through February in our new winter artWorks shows. Performing groups know that theater space in Loudoun County is limited, forcing many groups to hunt for venues where they can perform their works. For StageCoach Theatre, that struggle is over. The company has found a home in the village of Ashburn, complete with a "black box " theater and classrooms for their programs for kids and adults. 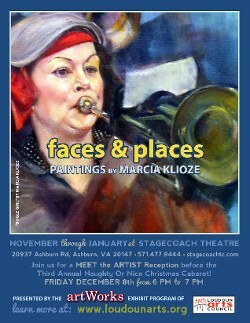 Painter Marcia Klioze has included many of her dynamic portraits in a new show, entitled "Faces & Places," on exhibit from November through January at the Ashburn Theatre. StageCoach will host a special Meet the Artist reception right before their holiday production of "Naughty or Nice" on Friday, December 8 at 6pm (the reception is open to the public). 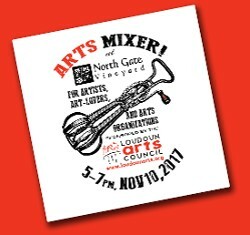 Join the Loudoun Arts Council at NorthGate Vineyards for the first in a series of Arts Mixers! 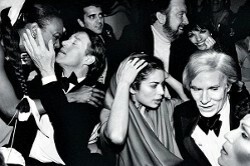 Meet other artists, art lovers, and members of arts organizations. Collaborate and talk about hopes, plans, and dreams for the arts in Loudoun County. What do you want to see happen? A performing arts venue? More exhibit opportunities? Enjoy award-winning North Gate wines (cash bar) and yummy snacks (on us!) at this special event from 5 to 7pm on Friday, November 10th. RSVP by November 8th by registering for your FREE ticket here! Thirteen local artists presented stunning "agricouture" art garments made from materials provided by local farms and agricultural businesses in the Farm to Fashion Creative Challenge Exhibit, at Franklin Park Arts Center, culminating in a fabulous F2F Farmstyle Reception and Awards Event on Saturday, October 28th. More than 150 people attended the event, which was covered by Virginia Living magazine, Loudoun Now, and NBC4 Washington. 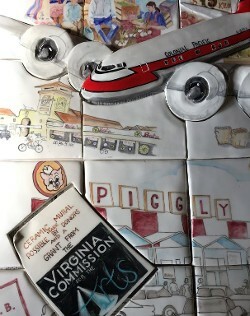 The exhibit met its goal of highlighting Loudoun's strong arts and agricultural communities. 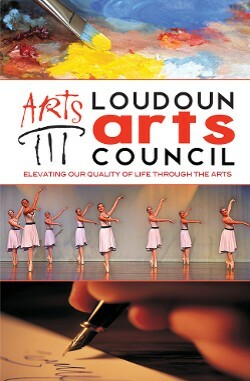 The Loudoun Arts Council was created in 1987 to support the work of local artists and arts organizations. 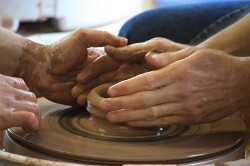 As times have changed, the Loudoun Arts Council’s member services have changed. We’re pleased to announce expanded membership programs for art-makers and arts sponsors, with new levels of participation and — wait for it — reduced fees. Loudoun Arts Council members, prospective members, and the public are invited to the 2017 Annual Members’ Meeting of the Loudoun Arts Council, to be held at Sterling Library at 6:30pm on Tuesday, October 3rd. Celebrate our 30th year in Loudoun County with refreshments and a special sneak peek at Journeys to Sterling — a special tile installation at the library created by renowned local artist Joan Gardiner. We'll also discuss the changing role the LAC can play in supporting and promoting the arts. We want to hear your ideas! The Loudoun Arts Council’s artShare grants were created to assist organizations of artistic merit to the Loudoun County community by providing funds to help maintain their stability and encourage their development. This annual grant opportunity is available to all Loudoun County non-profit arts organizations. 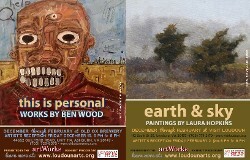 The LAC's artWorks program will feature the work of two accomplished Loudoun artists this summer. 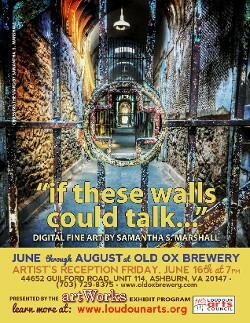 Christine Dixon will bring her colorful still life paintings to the Visit Loudoun Vistors' Center in Leesburg, while photographer Samantha Marshall's arresting digital images will adorn the walls of the Old Ox Brewery Tasting Room. 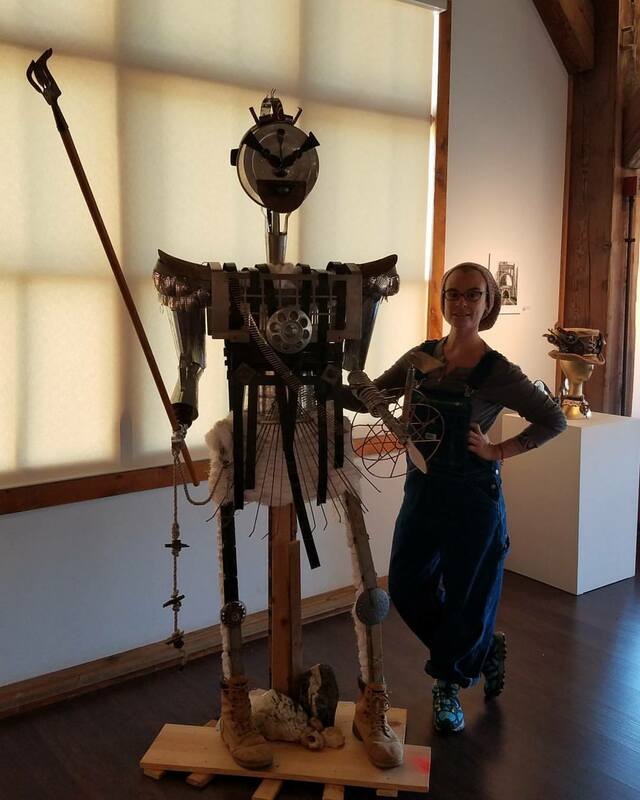 Meet Samantha at a special Artist's Reception on Friday June 16 at 7 pm. 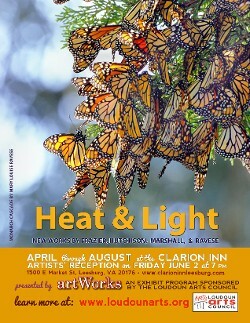 Four local artists are part of Heat and Light, a new summer exhibit at the Clarion Inn in Leesburg. 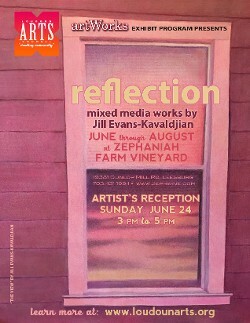 Join the artists for a special reception on Friday June 2 at 7 pm. 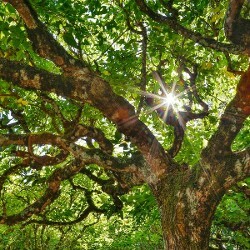 Help Name the Loudoun Artisan Trail! 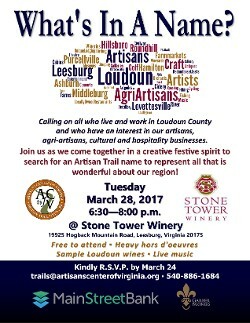 Calling all who live and work in Loudoun County and who have an interest in our artisans, agri-artisans, cultural and hospitality businesses! Join us at Stone Tower Winery on Tuesday March 28 at 6 pm for a fun evening with appetizers, Loudoun wines, beers and live music. Musician Ted Garber and Artisan Center of Virginia's Sherri Smith will lead the "Name Game." The Loudoun Arts Council presents two new artWorks exhibits: “Bloom” by Artist Lisa Cohen at the Visit Loudoun Visitors' Center, and “Olden Times” by Fine Art Photographer Dora Ramirez at Old Ox Brewery. Join Dora at the Brewery on April 7 at 7 pm for a special Artist's Reception. Learn more about her insiprations and process... and taste some of Old Ox's new works of art — and current LAC members get discounts on their beer! Help Launch a New Makerspace in Purcellville! Makersmiths, Loudoun County's maker organization, is working with the Town of Purcellville to convert an old town garage into a community makerspace. To fund the new effort, a new Kickstarter campaign has been created. The Loudoun Arts Council is seeking applicants for the expansion of its artWorks exhibit program. The artWorks program brings local artists and businesses together through quarterly art shows in vibrant gathering places throughout the County. 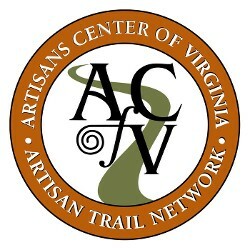 Loudoun County will soon be home to Virginia’s newest artisan trail thanks to a partnership between the Artisans Center of Virginia, members of the arts community, Visit Loudoun, and the Loudoun and Leesburg departments of economic development. Jim Sisley's paintings focus on simple daily experiences that we all "see" but seldom stop to deeply consider. His work is included in a one-person exhibit, Making Conections: Paintings by Jim Sisley at Old Ox Brewery in Ashburn, VA through February 2017. Loudoun arts icon Alice Power brings her keen eye and love of life to her watercolors, on display through February at the Visit Loudoun Visitors' Center in Market Station in Leesburg. The LAC's 2016 General Membership Meeting on October 27th was quite a success! Loudoun Arts Council members in attendance learned about the progress of our programs and elected new Board members to replace outgoing Board Secretary Karen Watson and at-large member Susan Trask. For the second year in a row, the Loudoun Arts Council and PHILLIPS will present the Wine Country Harvest Ball and Art Sale at Salamander Resort. This black tie gala — set for 7-11 pm on November 19th — features a sumptous meal, live music, and a sale of fine art and craft by Loudoun and Fauquier artists and artisans. As we begin our 30th year in Loudoun County, it’s time to meet together to discuss the changing role the LAC can play in supporting and promoting the arts. We want to hear your ideas! 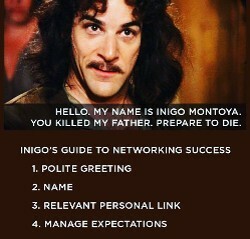 We'll meet at Arts in the Village Gallery at 7 pm. The Loudoun Arts Council is looking for a person with experience writing grant applications to help fund an expansion in the LAC's programming supporting the arts in Loudoun County. Wine Country Harvest Ball & Art Sale — Call for Art! The Loudoun Arts Council and the PHILLIPS Programs for Children and Families are hosting a special fundraising exhibit at Salamander Resort in Middleburg, Virginia, from October 15th through November 19th, the date of PHILLIPS’ second annual Wine Country Harvest Ball & Art Sale. 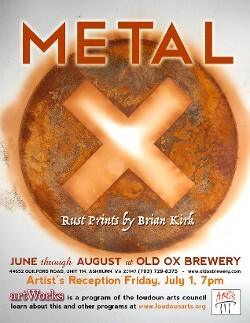 Loudoun sculptor and teacher Brian Kirk has taken his metal work in a new direction, using time, water and oxygen to tell a different set of stories through fascinating rust prints. The exhibit will be on display June 8 through the end of August, with an Artist's Reception at the brewery on July 1 at 7pm. Two-dimensional works by some of the artists participating in the Western Loudoun Artists' Studio Tour will be featured at the Loudoun Visitors' Center through the end of June. Featured artists will be on hand during two special First Friday Receptions in May and June. The public can meet the artists and view their works from 6 pm to 8 pm on May 6th and June 3rd. Wine and refreshments will also be available. 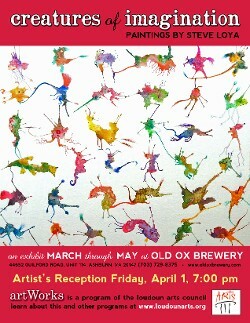 Creatures of Imagination Invade Old Ox Brewery! Artist Steve Loya's Splotch Monster paintings began as an experiment and a daily creative exercise and became so much more. Creatures of Imagination is the latest exhibit sponsored by the Loudoun Arts Council's artWorks program. Works by artists from the Arts in the Village Gallery will be featured at the Loudoun Visitors' Center through the end of March. The Visitors' Center, located in Market Station in Leesburg, is open daily from 9 am to 5 pm, and will host a special reception featuring AITV artists as part of Leesburg's First Friday event from 6 pm to 8 pm on March 4. 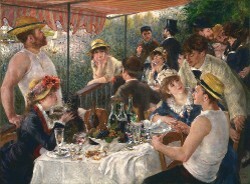 Wine tastings will be offered, and the public can chat with the artists in attendance. 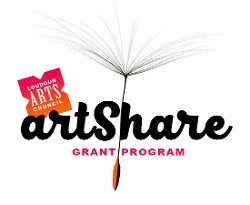 The Loudoun Arts Council congratulates two outstanding Loudoun arts organizations, Loudoun Lyric Opera and VSA of Loudoun County, as the 2015-2016 recipients of the council’s artShare grants program. Sterling artist Octavia Frazier's bold abstract compositions are directly connected to her years of work as an interior designer; her bold use of color and the different textures used are a delight for the eyes. Loudoun Board of Supervisors candidates weigh in on the importance of the arts in Loudoun County. LAC members met on on October 28th at Franklin Park Arts Center to learn about the LAC's recent work and plans for the future. Read the president's remarks after the jump. 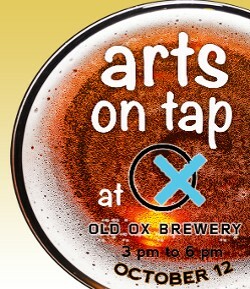 Loudoun arts groups, individual artists of all kinds, and the general public are invited to learn more about our county’s vibrant arts community at the Arts On Tap mixer at Old Ox Brewery on October 12th. Loudoun Arts Council members can pick up their new membership cards at the event. The cards have special benefits, including a discount on purchases at Old Ox, a generous LAC sponsor and the first LAC Member Card partner. 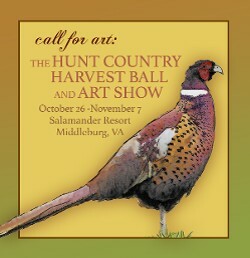 The Loudoun Arts Council and the PHILLIPS Programs for Children and Families, and Salamander Resort are hosting a special fundraising exhibit in Middleburg, Virginia, from October 26th through November 7th, the date of PHILLIPS’ Hunt Country Harvest Ball and Art Sale. 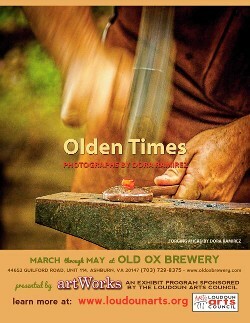 LAC's artWorks program announces a new exhibit at Old Ox Brewery in Ashburn Virginia. Focal Points: Leaning In and Stepping Back features the works of LAC members Jan Blacka and Bob Friedenberg. The artShare grants program was created to assist Loudoun non-profit arts organizations by providing funds to help maintain their stability and encourage their development. 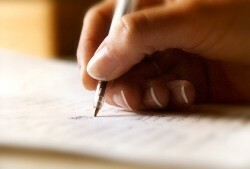 Note: The 2015 application period has now ended. 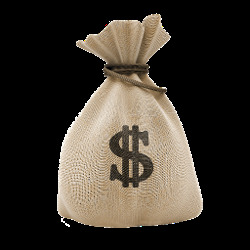 Grant awards will be announced Sunday, November 29th. The Loudoun Arts Council (LAC) and Loudoun County Public Schools (LCPS) are collaborating on an initiative for local visual artists to visit classrooms during the 2014-2015 school year. The Visiting Artists program will demonstrate that art isn't in the past or confined to textbooks, but that is happening here and now, and continuously evolving. Visiting artists will share their experience with art as a career or as a creative journey, and engage students in the process. Besides collaborating with art teachers to enrich the LCPS arts curriculum, participating artists will be able to practice speaking about their work and methods and refine their presentation skills.